Carla Scott uses simple stitch patterns in a palette of autumn shades to create a striking simple silhouette. 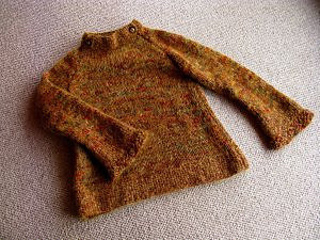 Worked in a variegated yarn, this winter warmer is trimmed with seed-stitch and abalone buttons. 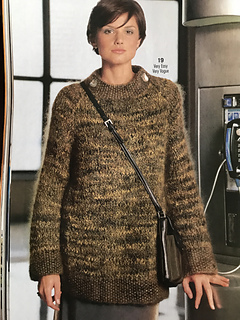 First appeared in the winter ‘99/’00 issue of Vogue Knitting.